Originally published in Live Science. More than a third of adults in the U.S. have a condition called “metabolic syndrome,” which involves a combination of risk factors such as high blood pressure, diabetes and obesity, according to a new study. In the study, researchers looked at data from 2011 and 2012 and found that about 35 percent of U.S. adults had metabolic syndrome (also known as Syndrome X). The health conditions that are the components of metabolic syndrome may contribute to the development of cardiovascular disease and even premature death, the researchers said. “That’s a scary percentage — that a third of adults have it,” said study author Dr. Robert J. Wong, of the Alameda Health System-Highland Hospital in Oakland, California. To have metabolic syndrome, a person must have at least three of the five conditions that are considered to be “metabolic risk factors,” according to the National Institutes of Health. The five conditions are: a large waistline, a high level of triglycerides (a type of fat found in the blood), a low level of “good” HDL cholesterol, high blood pressure and a high level of blood sugar after fasting. In the study, the researchers examined data from the National Health and Nutrition Examination Survey collected between 2003 and 2012. In the survey, data are collected from not only interviews with the participants, but also physical exams. 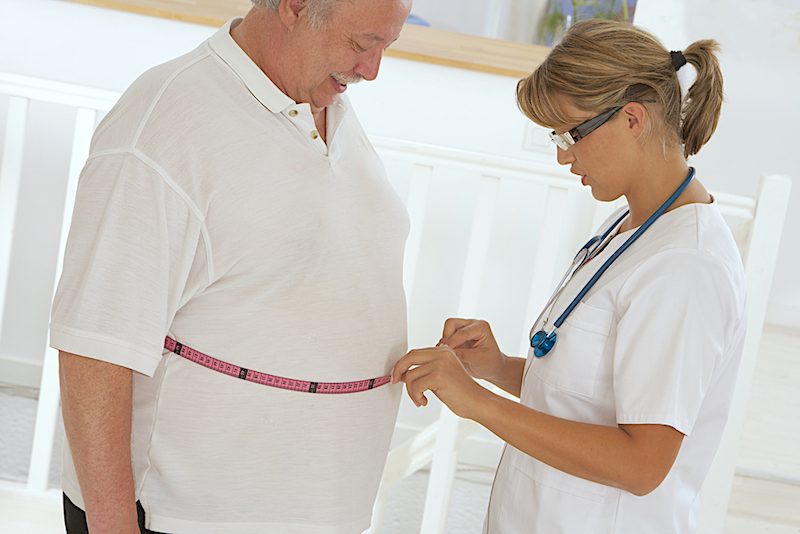 The researchers also found that the prevalence of the metabolic syndrome increased with age. They found that 47 percent of people ages 60 and older had metabolic syndrome, compared with 18 percent of people ages 20 to 39. Among people ages 60 and older, more than 50 percent of women, and more than 50 percent of Hispanics, had the syndrome. One possible reason for the increase in the metabolic syndrome with age may be that people’s metabolism slows down as they get older, the researchers said. As a result, they may gain weight more easily, which puts them at a higher risk for individual components of the syndrome such as high blood pressure, diabetes, abnormal lipid levels and obesity, Wong said. The results also showed that the prevalence of metabolic syndrome among U.S. adults increased from 32.9 to 34.7 percent between 2003 and 2012. When the researchers examined the data focusing on ethnicity, they found the highest rates of metabolic syndrome were among Hispanics, followed by non-Hispanic whites and then blacks. The new results emphasize the importance of exercise and weight-loss programs based on diet in improving individual conditions that are part of metabolic syndrome. “Just because you have metabolic syndrome does not mean that you can’t reverse it,” Wong said. The study was published today (May 19) in the Journal of the American Medical Association. Edited on June 12, 2018.